1. Crocs are still worth wearing for comfort, but you have to be prepared for very, very, VERY muddy feet. 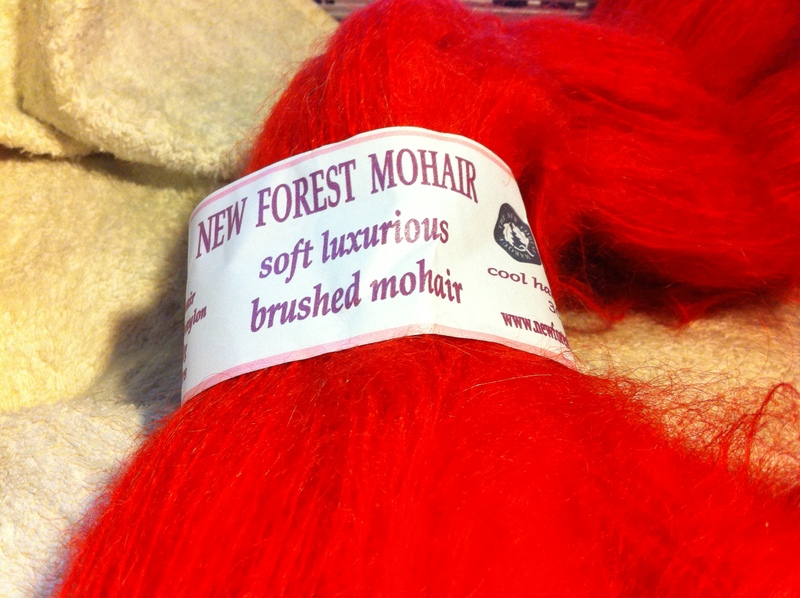 Mohair… The three above are all from MoBair – and the balls were one of your earth pounds each! 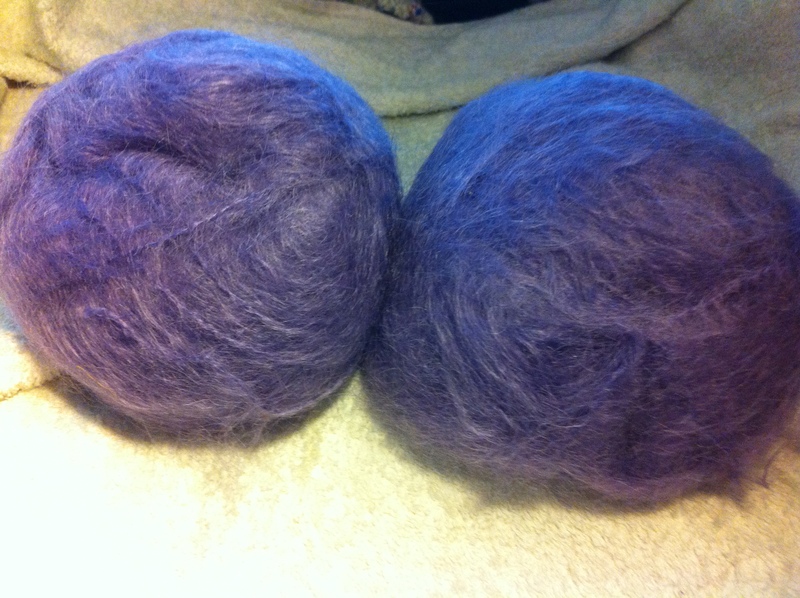 The dark purple hank – first photo – was still under £8! After teaching the recent course, I decided to spoil myself a bit. I looked at lots of things – lovely, beautous needles, proper, grown up knitting bags… and all sorts. Then, I started looking at those links at the bottom of the page on Amazon – you know the ones? 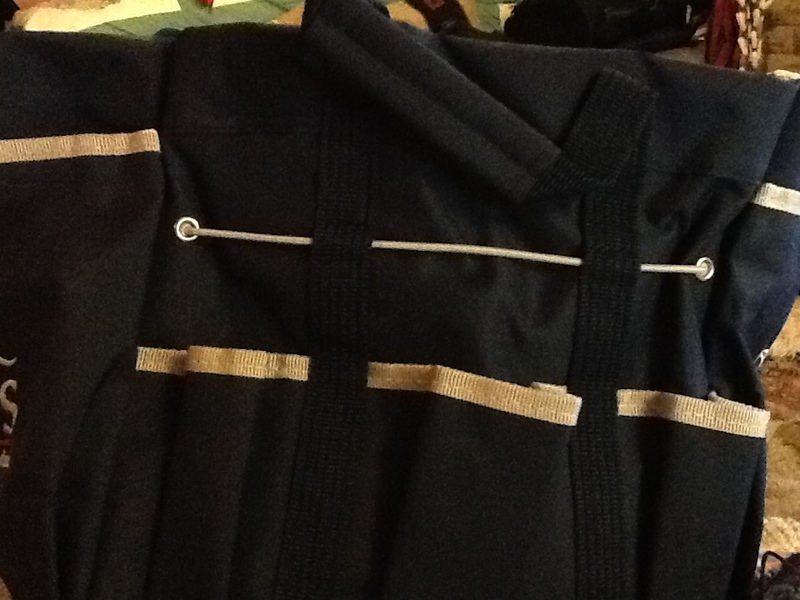 And I found a knitting bag… now, would you like a knitting bag that is a good, solid canvas? 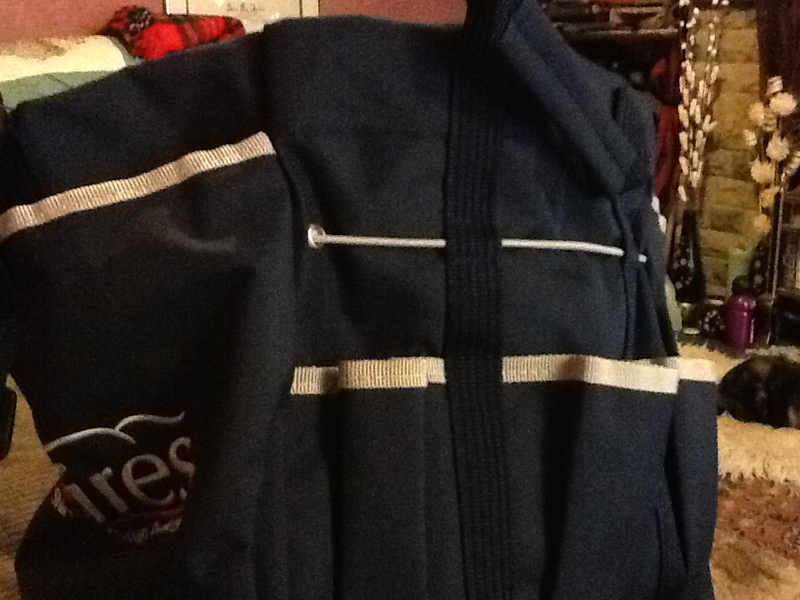 Has six exterior open pocket and two large, Velcro pockets also on the outside? That has a solid shoulder strap and also carry handles? That has a good number of interior pockets as well? That is over a foot long and will hold a huge amount? 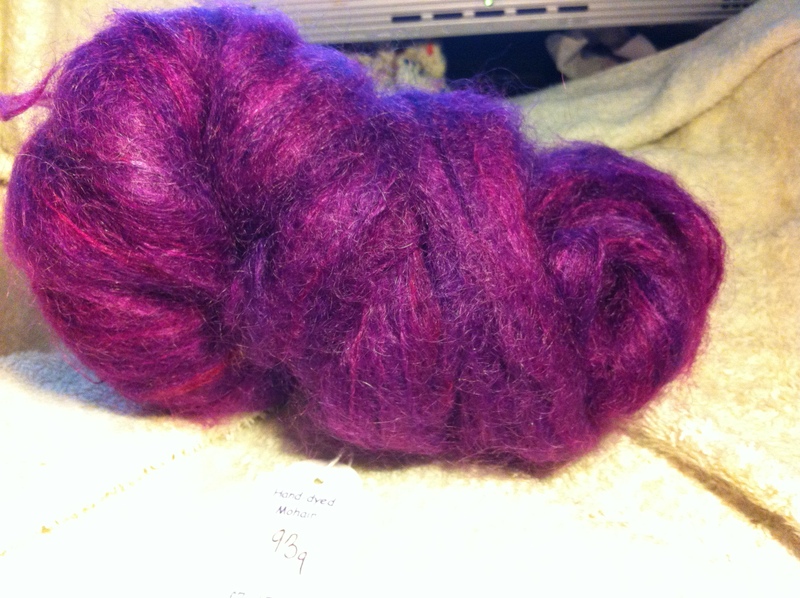 And has no sharp edges to catch wool? And costs less than £10??? 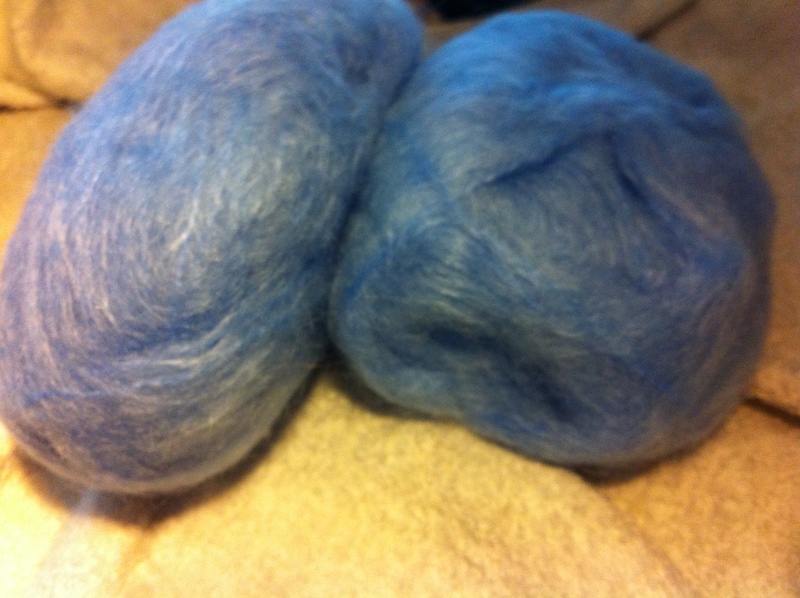 Now – to finish the current WIP so I can get on to using that lovely mohair!